Home | Milestones | 2016 — The Platinum 70th Anniversary edition of Who’s Who in America is published in March. Since the publication of the first edition of Who’s Who in America in 1899, the directory has often been referred to as “The Big Red Book” because of its distinctive burgundy color. 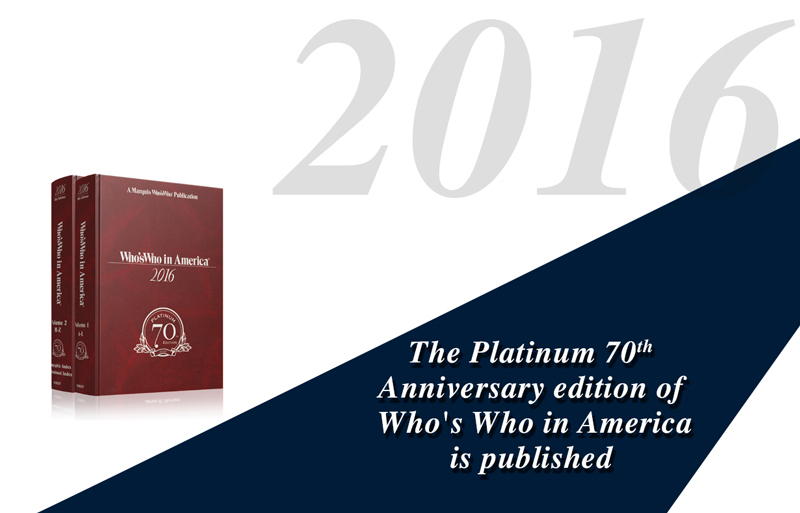 For the 70th edition the publishers continue the tradition of producing “The Big Red Book” but, for the first time ever, publish an additional Who’s Who in America with a Platinum cover, to signify the anniversary. PrevPrevious2006 — Who’s Who in America is a category on the game show Jeopardy!